Seashell jewelry is the biggest accessory trend of the season and I admit I was a little dubious about it at first. Nevertheless, the trend is just perfect for summer, it gives you an instant holiday feeling and is pretty chic, especially if it's paired with sophisticated pieces and sleek slicked-back hair. I've ended up really loving it. Shell earrings, chokers, bracelets and anklets seem like coming from beneath the sea to brighten any look and bring luck; seashells are, in fact, a lucky charm for travelers and are associated with the idea of beauty in some cultures. What about you, ready to give this trend a go? Lo sai che la nostra amica paola fa queste collane o comunque usa le conchiglie, perciò direi che io sono prontissima! I agree seashell jewelry is perfect for summer. The necklace is love and any matching bracelet will be lovely too. Seashell jewelry and summer really go hand in hand. I can definitely see you rocking this trend since you are a true mermaid Lilli :) Happy new week! 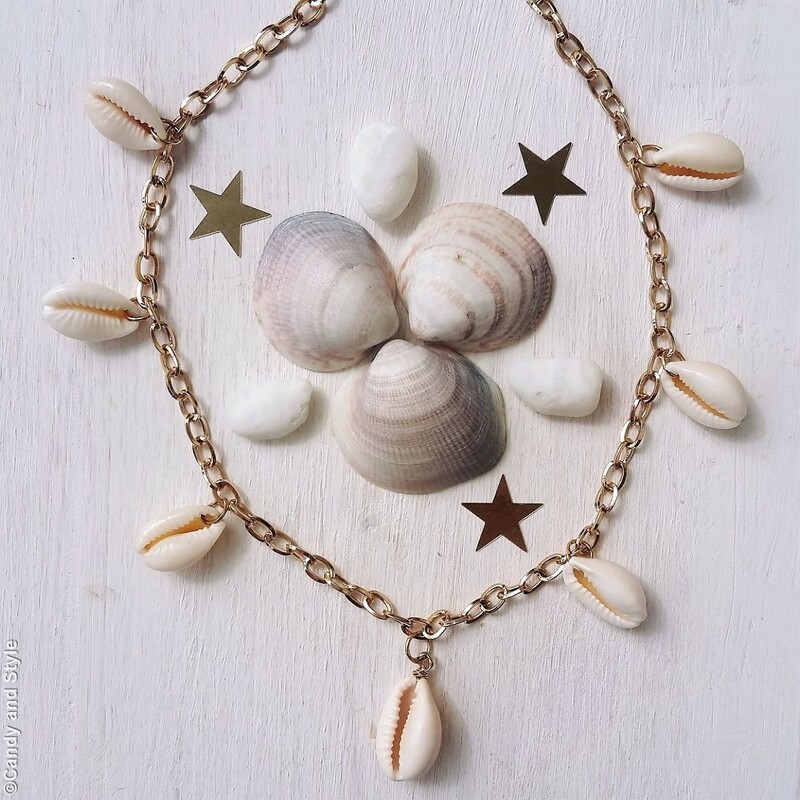 I love seashell jewellery, especially in summers. This necklace and bracelet are so pretty. Can't wait to see you in this jewelries. It looks very unique and definitely a nice accessory for summer outfits. Loving this summer trend. I have seashell earrings that I love to wear!